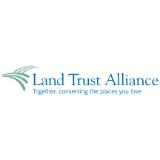 The Land Trust Alliance believes that if we focus our combined efforts to increase the pace, quality and permanence of conservation, we can turn the tide and ultimately change the way the land development takes place in America. When the Alliance was created in 1982, there were fewer than 450 local and state land trusts across the country. The first land trusts were true pioneers with little money, but lots of pluck and determination. They formed the Alliance because they believed that by sharing policy, information and training, they could strengthen the work of land trusts everywhere. Recently, we celebrated the 30th anniversary of the founding of the Alliance, and the remarkable success of citizen-led conservation. The result of our work has been the creation of a vibrant, national movement of 1,700 organizations which has now conserved over 47 million acres. The Alliance is the only organization dedicated to the effectiveness and sustainability of the nation's land trusts and their use of conservation easements. We are proud that today we have approximately 1.5 million people as supporters and members of land trusts. Land trusts are the force behind today's grassroots, community-based conservation: they know the people, places, and local cultures of the communities where they themselves live, work, and play. Volunteers and staff of member land trusts, partners, and individual members donating $250 and above have access to additional resources on a comprehensive range of subjects from the Learning Center.